It's not long since Sudoku took over the world of puzzle games. Now it is time to take the experience to the next level and tease your brain. 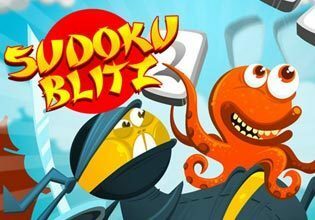 Sudoku Blitz adds all the fun and the challenge of an arcade game to the classic puzzle and brain teasing elements that made Sudoku an instant worldwide success. In two challenging game modes you place the falling pieces on the board following to the normal Sudoku rules, get bonuses for extra hard placements and try to fill the whole Sudoku board!